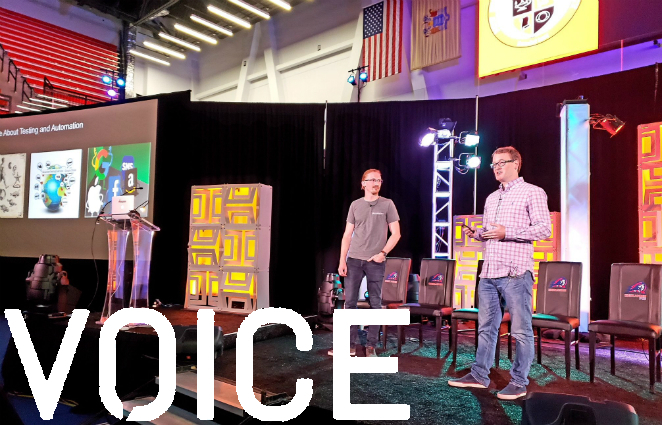 After three full days of sessions, introductions, conversations, and selfies at VOICE Summit 2018 last week, we walked away with three important takeaways. The enthusiasm and scale of VOICE Summit 2018 was amazing. We went from a small group of founders a few months ago at the Alexa Conference to something that can be legitimately characterized as an “industry” at this point – more than 3,000 attendees and 200 speakers from all over the world. It is a convenient time to step back and reflect on what voice is and why it is making all these strides. Fundamentally, what we continue to see is the strength of use cases where voice is incorporated into the core of products. From at-home banking to cars to smart light bulbs to surgical rooms, the use cases are diverse but the essential aspect is that voice is the new operating system for a hands-free universe. We continue to believe strongly in this future. Obviously, based on this conference, many others do as well. And in this new reality, the lines between one’s product and ecosystem it lives in continue to blur. When people interact with your products and services via Alexa or Google, the combination of AI and skill code merges, and for customers, it becomes a single experience. When it works, it feels seamless and effortless. When it does not, it is your product that will be blamed, regardless of where the issue lies. This is why testing for voice and AI is so critical – to ensure customers have a great experience, and that the entirety of this experience is working perfectly – across languages, countries, and environments. Our co-presenter, Mercedes-Benz R&D North America, certainly agrees on how important it is. Given the size of the conference, it might seem that a sense of community has been lost. But not at all. Instead, we felt like we have added a huge number of members to our family, while not losing touch with our core group. It was great to see people like Steve Tingiris, Paul Cutsinger, Dominik and Tim from 169 Labs, Amy Stapleton, and Roger Kibbe again, as well as meet lots of new folks. At this point, those of us that have been doing this for more than a year feel like the “old school,” though obviously it’s quite new for everyone and many great opportunities lie ahead. We look forward to working on them together and seeing everyone next year. To get involved with a future voice event, check out this list. And if you’re looking for more information about testing voice apps, join us at our upcoming webinar by registering here!